Leave it up to our friends in Taylor County to come up with a new “twist” on Christmas. 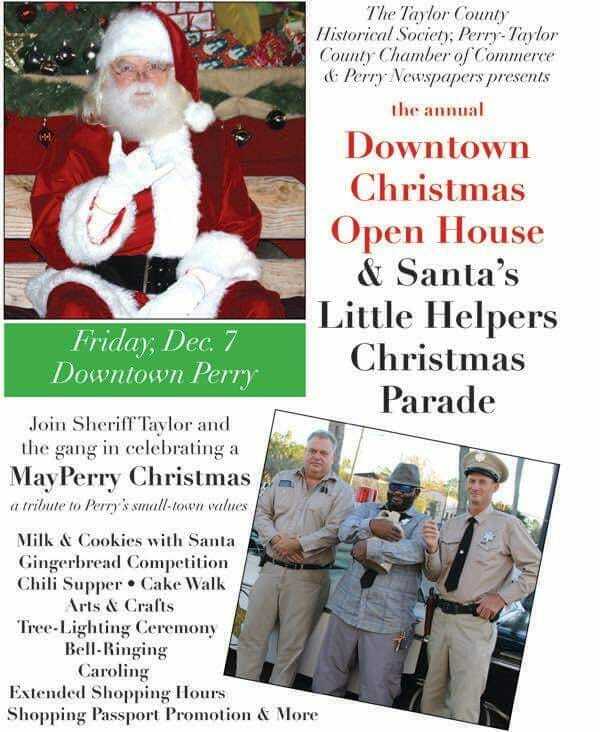 This year, in addition to a “Santa’s Little Helpers” parade, there will be a tribute to “Sheriff Taylor” at the “MayPerry Christmas” festivities. Perry, the vibrant County Seat of Taylor County, is the perfect place to gather the community for some great food, a Santa appearance, a cake walk and some shopping at Arts and Crafts tents. There will also be extended shopping hours at local stores, as well as a “shopping passport promotion”. Downtown Perry has several historic building nestled around the modern courthouse. 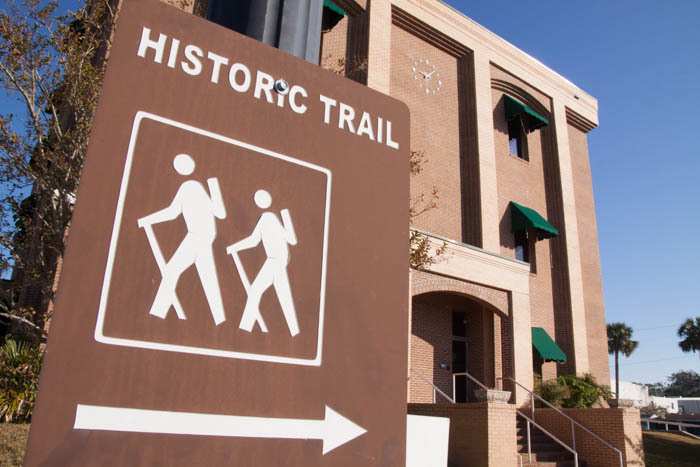 Plan to take a walk around town while you’re there. And if you arrive early, don’t miss one of the famous (at least to this writer!) 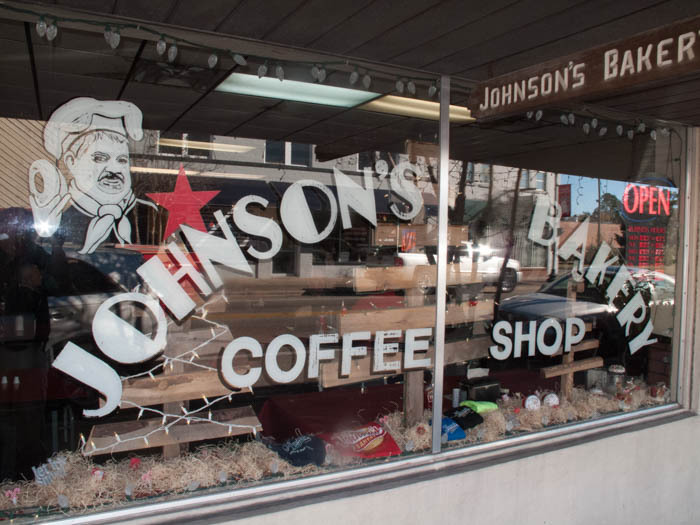 donuts at Johnson’s Bakery, just off the courthouse square on Jefferson Street.